I was lucky to be included in Flying Fox's #TravelFoxy campaign. 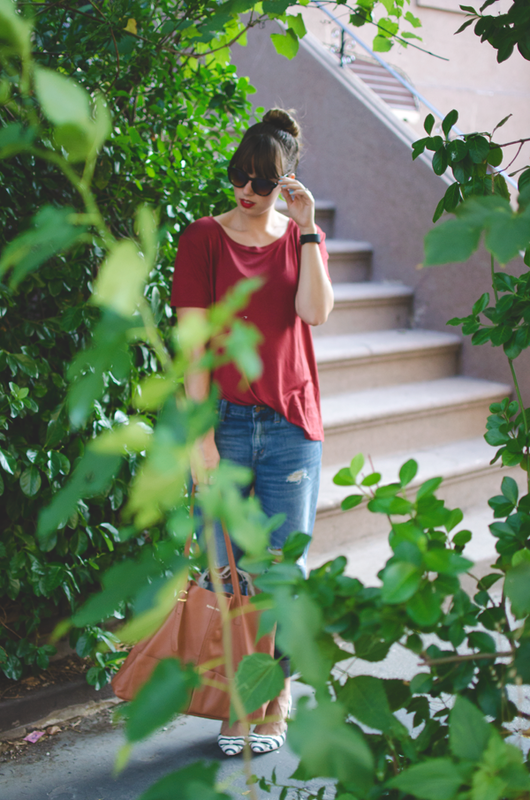 This was a round up of bloggers across the US (including Tiffany Mast of The Together Traveler, Lauren Price of Fashionably Lo, and Jessica Fay of Lipstick, Heels, and a Baby) sharing Flying Fox's Cole Tote Bag and our adventures with this bag. This bag had been on some epic trips from Miami Beach to Sugar Loaf Mountain...and now to New York. 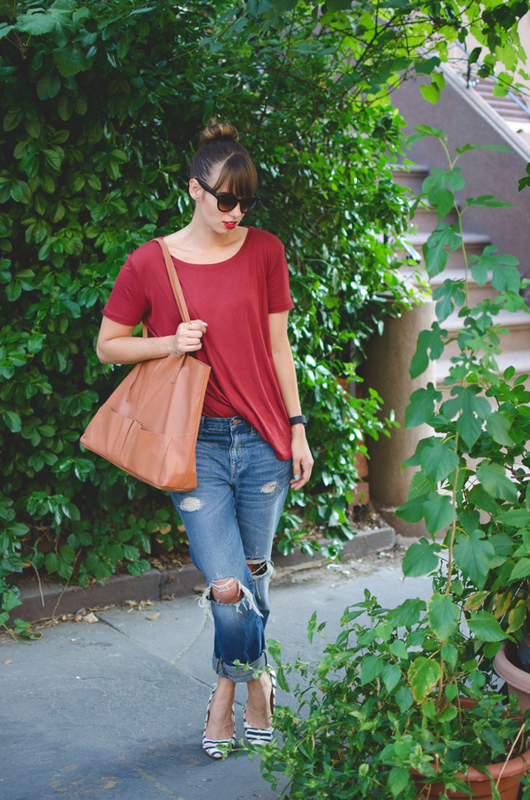 It's amazing how versatile this bag is and to see how other bloggers styled and used this bag on their voyages. Though this bag didn't go on any wild adventures with me, it did fit in perfectly with my on-the-go lifestyle. Saturday the husband and I took a trip to IKEA to pick up our new coffee tables and some other odds and ends. This bag saved me from having to buy a IKEA blue bag as I was able to fit a lamp and lightbulbs that we had bought in it. Since the husband will be away for the week we decided to do a little date night at our local BYOB pizza place, Lucali. 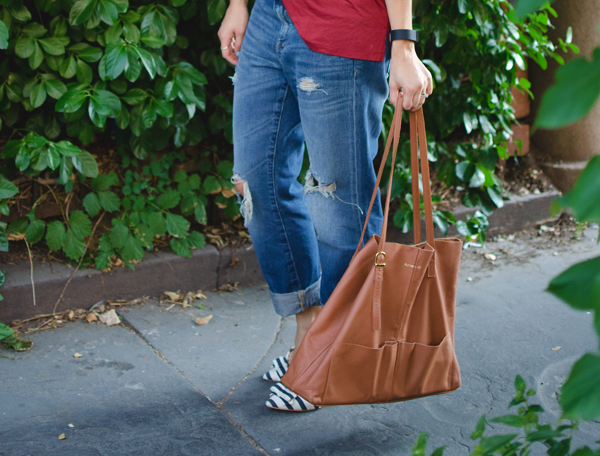 I swapped out my booties for my favorite pair of heels, pulled my hair up in a ballerina bun, and easily slipped a bottle of white wine in this tote...and out the door we went. 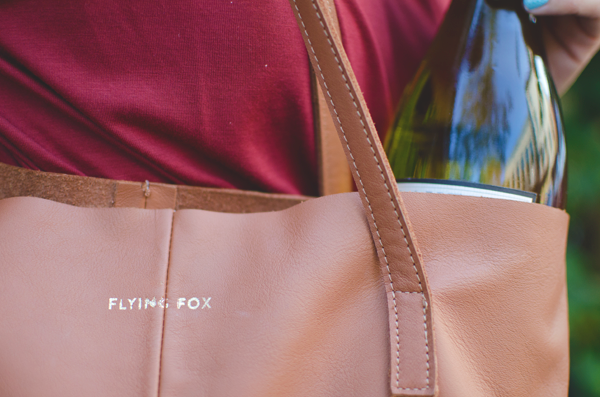 What I truly love about Flying Fox's Cole Tote Bag is it's buttery leather feel. 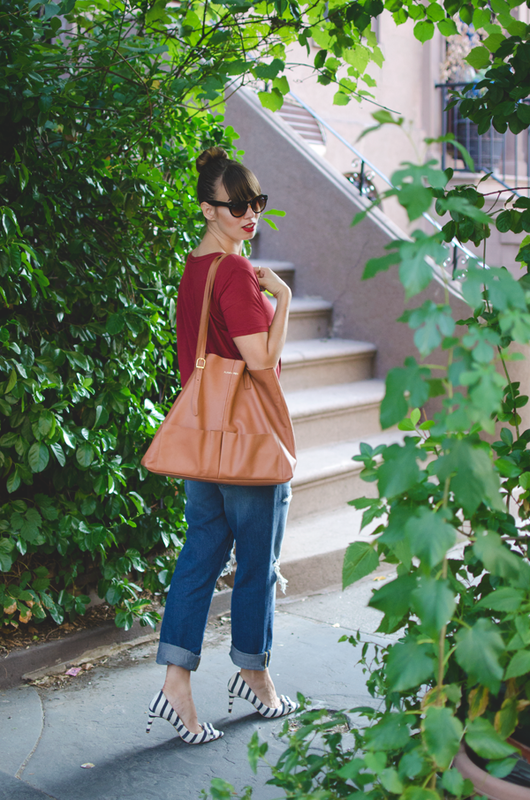 This bag is super light weight so you pack it full of your days necessities. The two front pockets are not only perfect to hold your cellphone, keys, and a pair of sunglasses, but also make it super accessible in getting these items instead of fishing them out of the bottom of your bag. I'm so sad to be saying goodbye to this bag but I have a feeling I'll be making a purchase soon. This is a super cool brand name, and I love how you were able to put a bunch of stuff in there instead of buying one of those oversized bags from Ikea! oh my gosh totally obsessed with this outfit!! 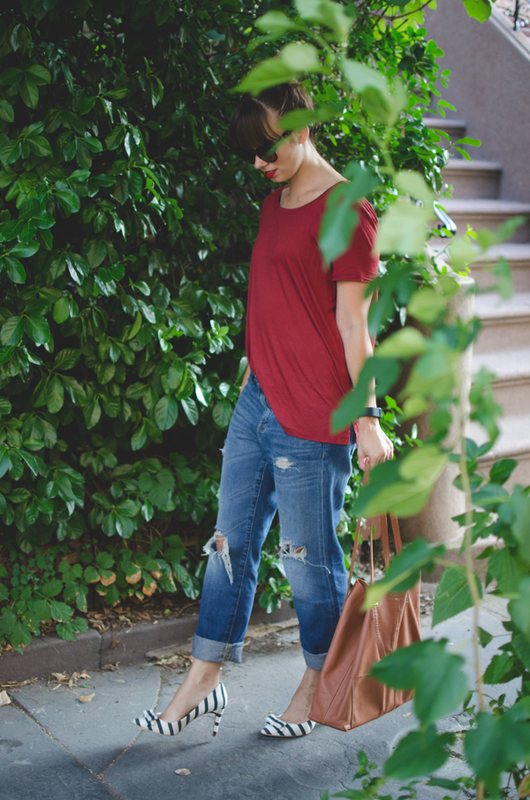 I love the boyfriend jeans and how casual this looks. The bag is adorable too! !